Here in California, the first strawberries are starting to make their bright and sunny appearance at farmers markets and roadside stands. Their rosy appearance is a telltale sign that spring is on its way! 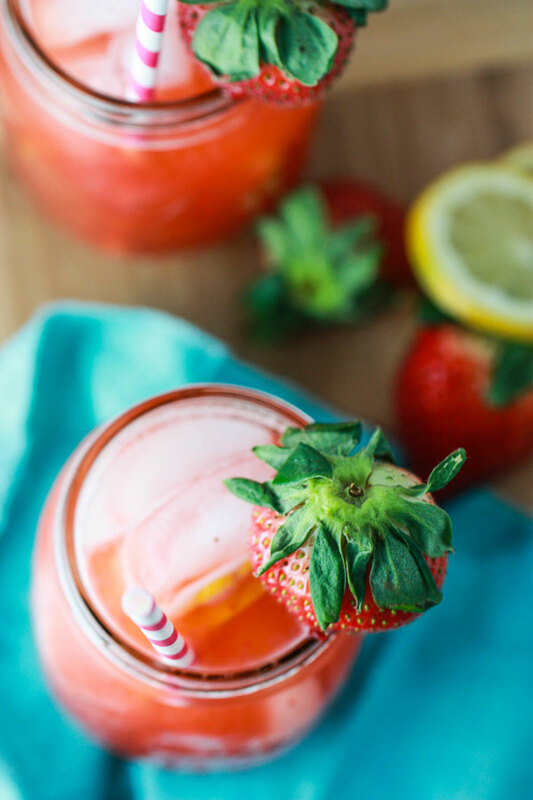 This delicious strawberry lemonade is perfect for Valentine’s Day, but also for baby showers and wedding showers this spring. 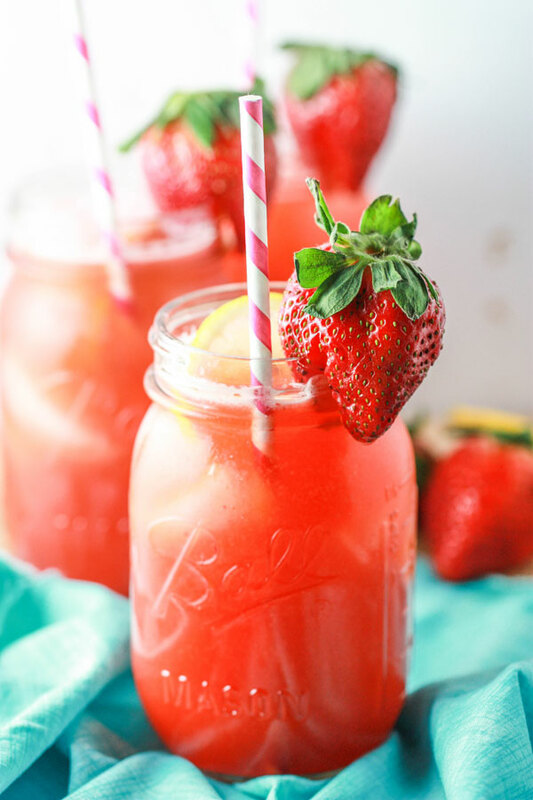 I like to serve strawberry lemonade in mason jars, and a nice idea for parties would be to fill mason jars with lemonade, screw on tops tightly and then self-serve out of galvanized buckets filled with ice. Guests will love it! I prefer my lemonade on the sweeter side (what can I say? I have a sweet tooth), but to tame down the sweetness, just add a bit more cold water at the end. 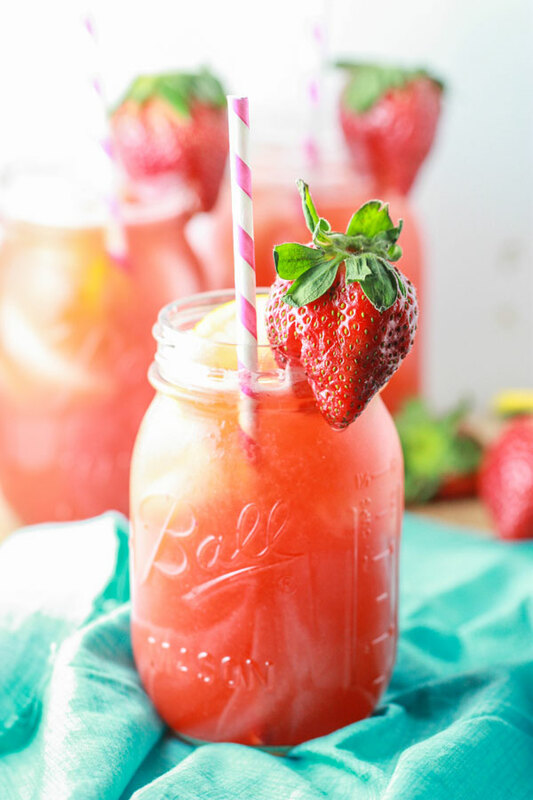 Serve this strawberry lemonade recipe in mason jars for a special touch. 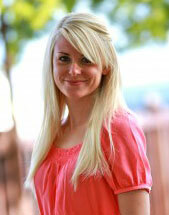 Food blogger Jenna Weber explains how to tone down the sweetness in a full post on the Fresh Tastes blog.